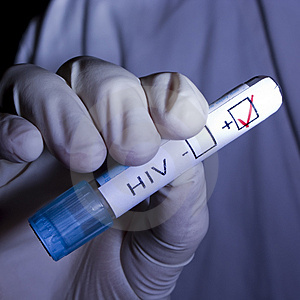 Imphal, May 24 : A 20-year-old woman in Imphal filed a criminal case against her husband for hiding his HIV status and forcibly marrying her. She has now contracted the disease. The accused, a constable with Manipur police, was arrested and later released on bail. The woman claimed she was drugged by the cop at a tea stall in Patsoi in 2007. When she regained consciousness, she was told that she had 'eloped' with him. She was finally forced into marriage in January, 2010. Later, she found documents in his diary that showed he was HIV positive. When the cop found out his wife was aware of his HIV status, he thrashed her and locked her in a room for three days without food. The ordeal continued with her in-laws also torturing her. She, however, managed to wriggle out of her husband's clutches and fled to her parent's house in Imphal West. She got her blood sample examined at an Imphal lab in February and tested positive for HIV, she said. The woman told the chief judicial magistrate, Imphal West, that she was forced to marry a man who hid his HIV status and now, she was a victim of the disease. She also charged him and his in-laws with torture. Human rights lawyer Rakesh Meihoubam said this is the first of its kind in Manipur and second in the country. In Delhi, a woman filed a criminal case against her husband for transmitting HIV without her knowledge, but the case didn't move forward as the husband died of AIDS. Till March 2011, 698 people have died of HIV/AIDS in Manipur.